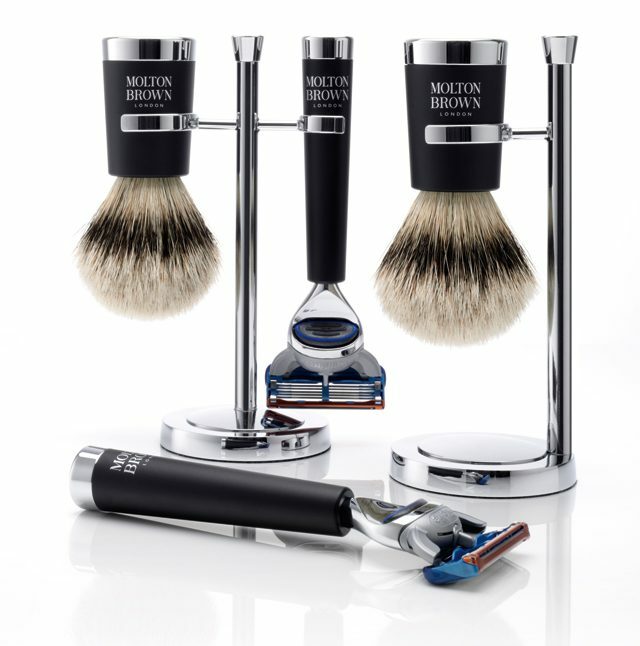 I take great pleasure introducing the recently launched Molton Brown Sartorial Shaving Collection. The thorough shaving kit, containing a razor, shave brush & stand makes an excellent addition to any man’s grooming routine. 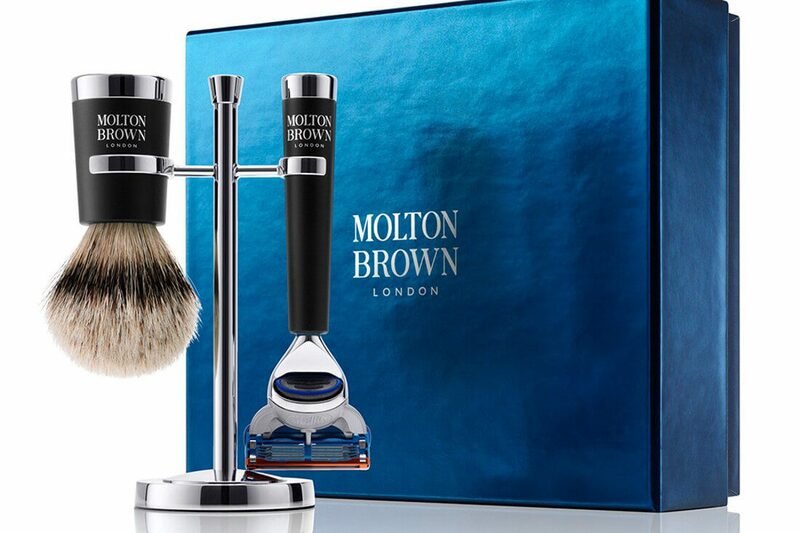 Designed to last and perform, Molton Brown have put serious consideration into important aspects such as the choice of bristle, the curve of the handle and the weight and balance of the razor. A black, chrome-plated razor with a disposable Gillette Fusion razor head and subtle Molton Brown branding. A black and chrome-plated weighted brush, made with the finest badger hair from Germany, complete with its own chrome-plated stand. Presented in a box set containing The Razor, The Shaving Brush & Stand (also available separately). The double stand holds both items, letting them air dry on the bathroom shelf correctly. 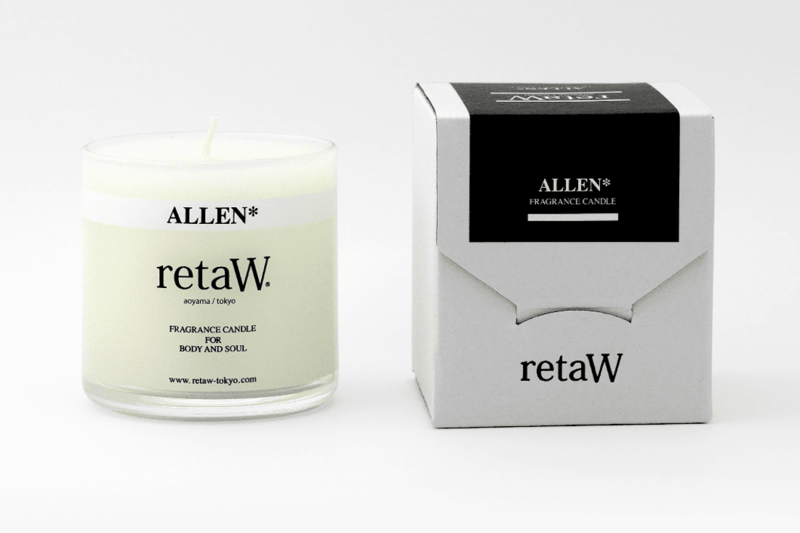 A stunning piece of kit, for your Dad or better – for yourself.